Just discovered that the study of lighthouses is known as pharology. Who knew? And who knew Princess Anne is an amateur pharolgist? So there you go. Cape Town is home to a good few working lighthouses. Our lighthouses are not silent as they are in many parts of the world. Each lighthouse has a unique signal and light character that distinguishes them from other lighthouses. When it gets damp foggy the sound of Mouille Point lighthouse permeates the atmosphere as she calls out to the ships. The first ever lighthouse in Cape Town was lit on the night of 12th April 1824. It had two lanterns that burned using sperm oil. It is no longer working but can be seen at the Waterclub, which is also where the maritime college is. It’s short walk from the Waterfront. If you happen to be there, you could take in a silver service meal at the hotel school. For bargain prices you can be waited on by the hospitality students. I highly recommend the food and service. You can take a tour of the lighthouses and some even have holiday cottages where you can stay. 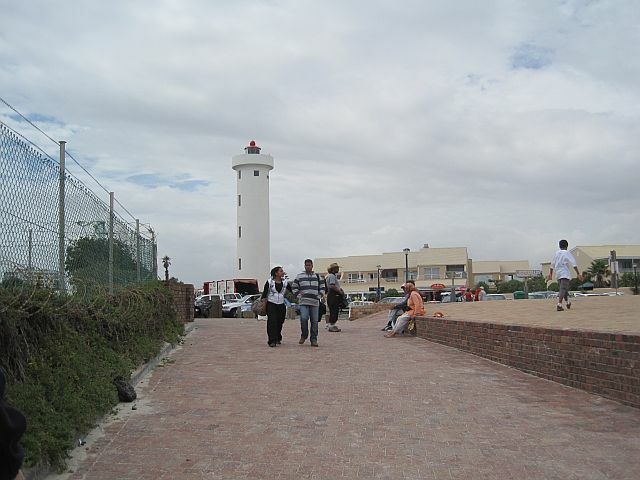 For more on Mouille Point lighthouse click here lighthouse and shipwrecks and here Mouille Point lighthouse.